Get the skills needed to deliver virtual desktops and applications through a single virtual desktop infrastructure platform. Learn how to configure and deploy pools of virtual machines, manage access and security, and provide a customized desktop environment to end users. This comprehensive 113-video training course focuses on preparing a candidate to pass the VMware Certified Professional 6 – Network Virtualization (VCP6-NV) exam. It includes an overview of the certification program, tips for preparing for the exam, an in-depth review of exam objectives, and sample question breakdowns. This free, self-paced eLearning course provides an overview of Hyper-Converged Infrastructure (HCI) and VMware software-defined storage (SDS) technologies. 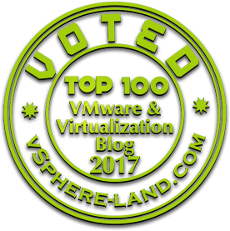 It explores how VMware Hyper-Converged Software (HCS) combines Virtual SAN software-defined storage with vSphere and vCenter management to transform compute, storage, and network resources. Learn how to consistently provide intelligent operations management for everything from applications to infrastructure across physical, virtual, and cloud environments using VMware vRealize Operations Manager.